Imagine having two to four days with nothing to do but concentrate on knitting—no competing demands from family or job, and even having all of your meals taken care of. Now imagine that happening in a tranquil, idyllic setting, at a leisurely pace, and among a small enough group that you can enjoy one another’s company and forge genuine connections. Maybe you’re learning a new technique with a skilled teacher, or maybe you’re devoting yourself to an existing project, but you’re there to relax and give your undivided attention to your craft. 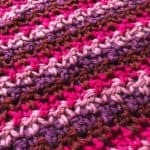 That’s a knitting retreat, and it’s a wonderful way to pick up new skills or just recharge your batteries in congenial company, doing something you love. Bustling knitting conventions are great for learning, spotting trends, and connecting with other knitters, but retreats are different. Instead of a convention’s energetic buzz, retreats are calm and contemplative. Many LYS’s organize knitting retreats, but increasingly knitters are doing it for themselves. Across the country, individuals and small groups are envisioning their perfect knitting getaway and then making it happen. And if you’re inspired to create a knitting retreat for yourself and your friends, you can do it too. 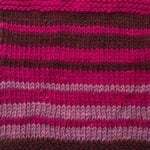 My first exposure to an indie knitting retreat was when I attended the Olema Inn Knitting Retreat in Olema, California, near Point Reyes in 2006. I spent the weekend in classes with Beth Brown-Reinsel, who taught me and about 12 other knitters how to make a top-down Aran cardigan one day, and how to do twined (or two-end) knitting the next. The group was small enough that we got individual attention as needed, and Beth tailored her instruction and pace to our needs. 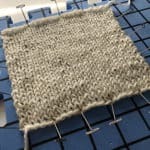 I loved learning the rather exotic techniques for top-down saddle shoulders and twined knitting, but the real payoff for me was when Beth detoured a bit from her main lessons and demonstrated the long-tail cast-on, mattress stitch, and Norwegian purl. Those three lessons added up to maybe an hour out of the whole weekend, but having those basic skills cemented by in-person instruction was more than worth the price of admission for me. And learning in a lovely restored farmhouse in one of the most beautiful places on earth, while being served delicious food, was my idea of a perfect weekend. Tea and knitting at the Olema Inn, in Olema, California. 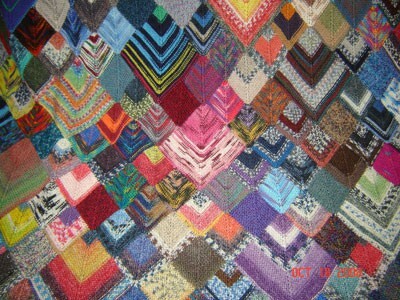 The Olema Inn Knitting Retreat has happened in November for the past five consecutive years. Susan Giacomini Allan organized the first three, and says she did so because she wanted to bring Beth Brown-Reinsel’s teaching techniques to her West Marin knitting community. Beth has been the “instructor in residence” for each of the Olema retreats, teaching a variety of classes on traditional knitting, with a maximum class size of 25. According to Susan, Beth took care of all the teaching details, and the inn’s manager handled all the hospitality logistics and collected all fees. Susan says some of her favorite memories from the retreats are the “Aha!” moments when someone masters a skill, and the gathering supper when everyone introduces themselves and shares a bit of their personal knitting story. Beth Brown-Reinsel’s top-down Aran class. Many small retreats have earned a longtime following, running many years in a row, like theMinnesota Knitters’ Days, which has been going for 24 years, with plans for the 25th in October 2009. Sheryl Hill attended for 10 years, and then stepped up to take over organizing duties. She’s been the organizer of the retreat at theVilla Maria Retreat Center in Frontenac, Minnesota, for the past seven years. She has a mailing list of about 300 people interested in attending, although there is room for just 30 participants most years. She engages nationally known instructors such as Lucy Neatby, Cheryl Oberle, and Candace Eisner Strick, and the instructors specify the maximum number of students they want in their workshops. Sheryl says, “There is a fellowship created with the knitters each year, with lots of inspiration and learning, for a relaxing weekend!” Her favorite memory is of the first time she walked in as an attendee and saw all the other people who were just as crazy for knitting as she was, so she knew she was among kindred spirits. 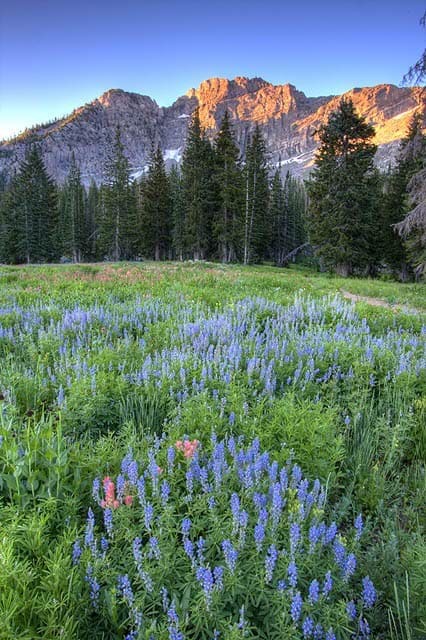 The Rocky Mountain Retreat is usually in September, before the snow starts falling in the skiing town of Alta. Lisa says it’s usually still warm enough to knit out on the deck. Some participants like this so much that they bring headlamps, so they can keep on knitting outside even after dark. The 2009 retreat is already planned for September 25 through 27. A knitting retreat doesn’t have to feature big-name instructors or be at a swanky resort. 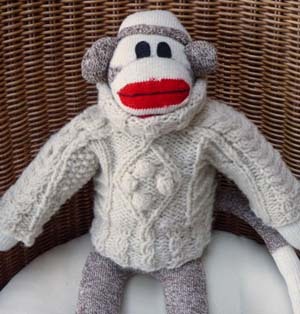 TheMen’s Knitting Retreats—held in spring 2008 in New York and in the fall in California—consisted of sessions taught by attendees and took place at nonprofit retreat centers. The point of these retreats was to give male fiber enthusiasts space and time to practice their crafts in each other’s company, which doesn’t require a fancy locale or a famous teacher. The spring retreat was held at Easton Mountain (http://eastonmountain.com), a spiritual retreat in a rustic setting outside Albany, New York. Plans are already being made for a second retreat at Easton Mountain in May of 2009, with the hope of making it a yearly thing. In November, guys gathered at the Point Bonita YMCA’s conference center in the Marin Headlands near San Francisco, where participants shared their knowledge of techniques including mosaic knitting, freeform knitting, entrelac, and magic loop (who needs superstars to learn something new?). There is now an umbrella group aimed at keeping the retreats going, as well as assisting men who want to start knitting retreats in their own areas. Mike Wade teaching spinning with a drop spindle at the Fall Men’s Knitting Retreat. 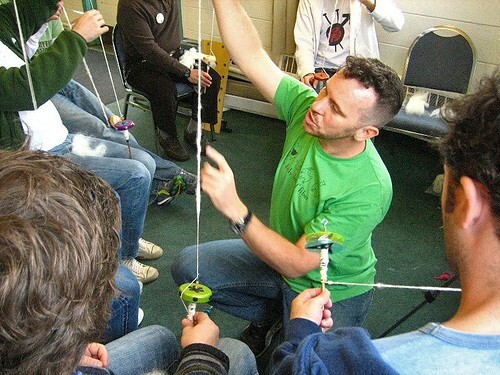 Unlike small retreats that draw participants from a local knitting community or a limited geographic region, the Men’s Knitting Retreats participants connected online, via sites like Ravelry and MenWhoKnit.com. The retreats gave them an opportunity to get to know each other face-to-face. 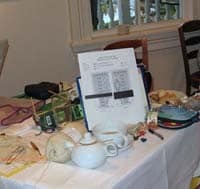 Small, homegrown gatherings of knitters can mushroom into large regional events: In Maine, New England Textile Arts’ Spa, Knit, and Spin event started in 2003 when some friends wanted to treat themselves to a weekend of pampering at a hotel, combined with some quality knitting, crocheting, and spinning time. This all-volunteer, collectively planned event had more than 600 participants its first year and has grown from there. 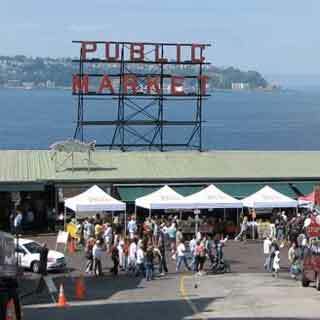 In the Pacific Northwest, Madrona Fiber Arts started small but has become a four-day event with hundreds of attendees. Dare to dream. Imagine what you’d most like in a knitting retreat, then brainstorm ways to make it happen. Ideas from friends and potential attendees are helpful, but if you’re the primary organizer, be true to your own vision. Susan Giacomini Allan’s advice: Just dream about the most possible fun you can have knitting—with your best buddies and favorite teacher—then invite them to your party! Start planning (and publicizing) early. Finding and booking a venue and developing a program take time, particularly if you’re dreaming of convening in a popular spot or hiring an in-demand instructor. And don’t forget that your attendees need adequate notice to fit your event into their schedules and budgets. Every organizer I spoke with emphasized the need to plan well ahead of time. Get help. There are myriad administrative details and other tasks involved in making an event happen; don’t be shy about delegating to friends who’d like to help you. The staff of your venue will help you with the logistics, particularly of catering and accommodations, so ask for their advice and employ their services to the extent your budget allows. Be realistic about budget. Your attendees will be splitting the costs of the venue, instructors and presenters, and food—as well as paying their travel costs and lodging. Plan on a scale that you know your guests can comfortably pay for. Your attendees will most likely be drawn from your knitting peers, so your own financial comfort level is probably a good yardstick. Remember that limitations spur creativity; your budget could inspire you to dream up a fabulous new kind of retreat. Size up your guest list. Two factors will decide how big your retreat can be: the capacity of the venue you choose, and the class size your instructor prefers. It’s likely that your instructor(s) will want small enough classes to allow for individual attention, and your attendees will appreciate it as well. Show and tell is always a winner. Set aside some time to let people show off what they’ve been working on lately and discuss the new techniques they’ve learned. 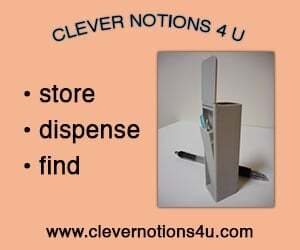 Make it a formal part of the program so that attendees know to bring something for show and tell. Sheryl Hill of the Minnesota Knitters’ Days says they have a Saturday night “show and share,” when everyone brings their completed accomplishments, which provides inspiration and ideas for everyone. Plan for some variety, and leave some downtime. People have limited attention spans, especially for absorbing new information—so alternate workshop sessions with time for socializing, stretching legs, and unwinding. You’ll likely find, though, that your attendees will knit straight through meals and breaks! A field trip or presentation on a related topic, maybe history and lore of your retreat center or fiber animals raised locally, is a nice break from instruction. Giveaways are nice but not necessary. People like souvenirs, and some retreat organizers put together door prizes or goodie bags for attendees. Mike Wade, who organized the Fall Men’s Knitting Retreat, solicited lots of donations from small and indie vendors such as Briar Rose Fibers, who were happy for the chance to publicize their products. Having prizes and goodie bags definitely added excitement to the event, Mike says. However, while it’s nice to have something to take home, it’s not the reason people are there. Don’t fret if soliciting giveaways isn’t your thing—but it’s a perfect task to delegate to a helper. 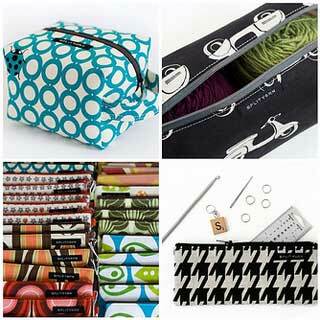 Rebecca Freed is a writer and editor who works on technical publications to support her yarn habit. She lives in the San Francisco Bay Area and blogs at rebeccafreed.typepad.com. Text and images © 2009 Rebecca Freed. Contact Rebecca.